When Zion Williamson’s foot broke through the sole of his Nike shoe on Feb. 20, the sporting world stood still. The consensus number-one player in college basketball was playing in the biggest game of the season—North Carolina versus Duke—and suffered his startling injury in the opening minute. Williamson’s sprained knee cost Nike $1.1 billion in stock market valuation the next day.? Despite the billions riding on his performance, the NCAA insists that athletes like Williamson are “amateurs”—student-athletes there only for the love of the game. It forbids them to make money off their performance even as they support an industry worth billions. Duke alone makes $31 million off its basketball program. They’re supposed to spend only 20 hours a week on sports-related activities. In reality, they spend around 40 hours on practice alone. Schoolwork falls by the wayside, so many schools have outside tutors do the players’ schoolwork and create classes-in-name-only where the only requirement is to turn in a paper. Schools should pay these athletes a share of the revenue their sport brings in. And the NCAA needs, at the very least, to allow for these people to make money selling autographs or appearing at sports camps. This article was published at In These Times on April 5, 2019. Reprinted with permission. About the Author: Brian Wakamo is a researcher on the Global Economy Project at the Institute for Policy Studies. A boss starts cancelling your check-ins after you give them feedback. A co-worker routinely undermines and interrupts you during meetings. You’ve been passed over for a promotion twice. Even after speaking to a lawyer, you’re not sure what to do. Every day, across every workplace in America, people face challenges that don’t necessarily fall into a legal category. Instead, they fall into a vast gray area where solutions are rarely black and white. These issues–while not legal in nature–affect how we show up at work, and can have a lasting impact on a career. In a recent study, over 95 percent of people surveyed faced at least one challenging situation at work. Half left their job as a result. Meanwhile, resources to help people navigate these challenges haven’t evolved to meet the needs of our vibrant, dynamic, and diverse workforce. Employee-provided resources are largely distrusted. Nearly 80 percent of people surveyed had never used a service provided by their employer. Moreover, the rapid growth of the gig economy often leaves employees feeling even more isolated. When people don’t get the support they need they’re more likely to take a step back in their career or leave their job without having another lined up. Empower Work is a new resource that fills this gap by putting employees first. We provide free, anonymous, and immediate support for people facing non-legal work issues. Anyone can text 510-674-1414 and connect to a vetted and trained peer counselor within minutes. Our approach is rooted in inquiry and empathy. We provide the space to talk about your experience and work toward an outcome that feels right to you. Our goal is for people to leave the conversation feeling empowered with the tools and support they need to move forward. Over 90 percent of people say they feel better after talking to an Empower Work peer counselor. Our peer counselors are working professionals who volunteer their time to support people through their most difficult experiences at work. They are leaders, coaches, mentors at every stage of their careers. Peer counselors undergo a selection process and receive hands-on training that blends best practices in coaching, counseling, and business. We believe everyone should have access to support for tough work issues. What’s tough varies from person to person. You might be grappling with the decision to take a pay cut to pursue a dream job; questioning whether your company’s values are aligned with your own; or need support preparing for a big performance review. Next time you’re facing a difficult situation or decision at work remember you’re not alone. Having a non-legal work issue you’d like to chat about? Text: 510-674-1414. Peer counselors are available Monday-Friday, 8:30am-8:00pm PT. To learn more visit www.empowerwork.org. 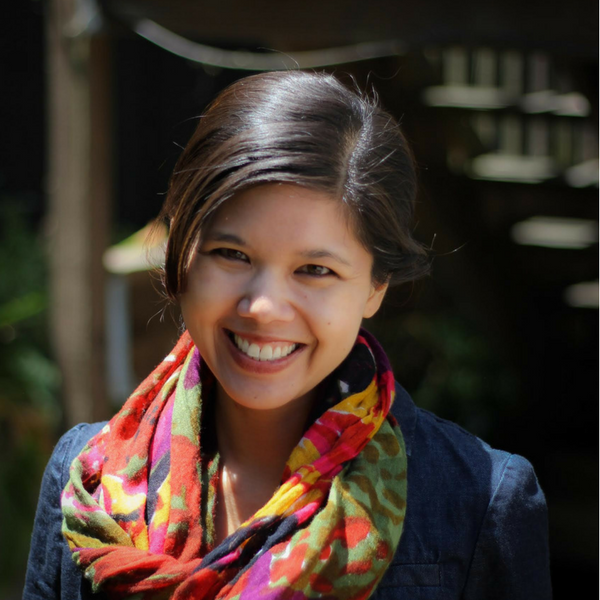 About the Author: Lauren Brisbo is a social impact communications professional with over a decade of experience. She’s worked with a range of nonprofits, businesses, and government agencies to launch communications initiatives that win hearts and minds, give a voice to those less heard, and help people make well-informed decisions. She’s passionate about helping organizations promote good causes externally, and creating supportive internal work environments that help employees thrive. Lauren currently leads communications and outreach for Empower Work, a free, accessible, and immediate text hotline for anyone facing a tough issue at work. It might not come as a surprise to you that 2.2m Americans are in low-income jobs according to the US Department of Labor. Attempts are being made to pinch worker’s rights and their ability to litigate against employers. This is despite a growth in the economy, employment rates and the overall average wealth of the USA’s workers. This means that more American workers are having to make less dollars stretch further. Fortunately, it’s not entirely doom and gloom. On a national level, workers are organizing for their rights. On a personal level, there are a wide variety of schemes, rights and techniques you can employ to make sure you are getting everything you are entitled to. Despite the aforementioned legal squeeze on rights and entitlements, there is still plenty that the government is doing to help low-income workers – both on a federal and state level. This is especially important in benefit-capped states, where state assistance programs are crucial for employees. Cash isn’t the be all and end all, either. For instance, if your employer withdraws mandatory health insurance if the ACA is superseded, many states have health care assistance programs that also cover dental and other healthcare areas. They also assist with areas such as childcare, if your employer is restricting access to childcare facilities or doesn’t offer them full stop. Employees across the USA experience legal issues for a number of reasons, from in-work disputes to non-payment of unemployment benefits. It’s estimated that 71% of low income workers experience at least one legal issue yearly. Many of these require the provision of legal assistance. Unfortunately, as the Legal Services Corporation found, 86% of Americans received inadequate legal help, resulting in a poor success rate for claims that should have been allowed and restitution received. This is partly down to a lack of awareness around the opportunities available to employees when it comes to legal aid. Many states offer legal aid, as covered above. However, it’s the case that increasing numbers of labor law firms are offering pro bono advice and representation, providing what is sometimes a greater level of legal help due to the increased resources available. Across the entire workforce of the USA, it’s noted that most Americans under-save. The Bureau of Economic Analysis found that most employees only save 5.7% of their incomes, which is understandable given the rising cost of living and other influences on pay packets. Credit unions have existed for decades, largely in the sphere of labor unions and local communities. They operate on the basis that everyone pays in and this enables the union to help members in times of need, whilst also behaving as – variously – a savings pot or pension fund. They often have a sliding scale of contributions and so if you’re on low income, or out of work, it can be beneficial for long-term saving and planning to put a few of your cents away in a suitable scheme. Being removed from employment can put a bump in the road if you’re developing professional skills. Some careers are cherry picked by the employee for their professional development opportunities. When you find yourself unemployed or moved sideways, you will find that your education is sacrificed, too. Whilst this can seem minor, studies have suggested that under skilling workers is detrimental to society. This is in addition to your own personal development and, if your cash flow is restricted, the development of your family. Again, make sure to thoroughly check your contract and legal rights to ensure that your education is linked to the job role and not an outside commitment. If you are in a bad position, you might be able to find an avenue of help in the USA’s varied community colleges, some of which offer programs in line with the state and federal assistance programs to help those less fortunate to continue their education. Unemployment and changes in working pattern can be stressful and can come across as harsh. Whilst personal responsibility is important during these times, don’t forget that there are entitlements and services out there to support you. About the Author: Jackie Edwards is an editor, researcher, and writer. The U.S. economy added 242,000 jobs in February and unemployment was 4.9%, unchanged from January, according to figures released this morning by the U.S. Bureau of Labor Statistics. This continues the record string of months with job growth. Last month’s biggest job gains were in health care and social assistance (57,000), retail trade (55,000), food services and drinking places (40,000), private educational services (28,000) and construction (19,000). The mining industry continued to see losses. According to BLS, other major industries, including manufacturing, wholesale trade, transportation and warehousing, financial activities, professional and business services, and government, showed little change over the month. Among the major worker groups, the unemployment rate for adult men (4.5%), adult women (4.5%), teenagers (15.6%), whites (4.3%), blacks (8.8%), Asians (3.8%) and Latinos (5.4%) showed little or no change. The number of long-term unemployed (those jobless for 27 weeks or more) was essentially unchanged at 2.2 million in January and accounted for 27.7% of the unemployed. 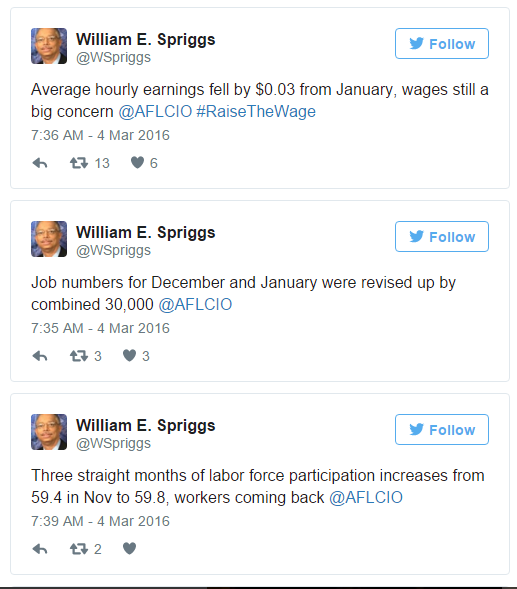 This blog originally appeared in aflcio.org on March 4, 2016. Reprinted with permission. Kenneth Quinnell is a long time blogger, campaign staffer, and political activist. 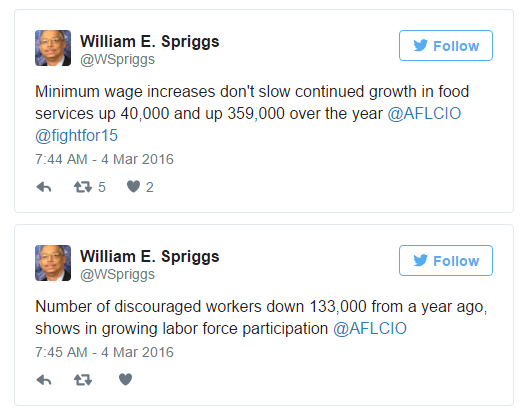 Prior to joining AFL-CIO in 2012, he worked as a labor reporter for the blog Crooks and Liars. 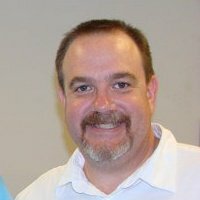 He was the past Communications Director for Darcy Burner and New Media Director for Kendrick Meek. He has over ten years as a college instructor teaching political science and American history. Today is Take Action Day for Federal Fair-Chance Hiring! Workplace Fairness is on the look out for important advancements in employee rights. That’s why we want our readers to take note of Fair-Chance Hiring Take Action Day. Check back here tomorrow morning for more information on Ban the Box on our blog, Today’s Workplace! Join NELP and The Leadership Conference on Civil and Human Rights today for a National Day of Action calling on President Obama to give people with records a fair chance at employment with federal agencies and contractors — because a mistake from the past shouldn’t be a life sentence to joblessness. Tell him it’s time for the White House to lead the way in adopting fair-chance hiring practices. People should be judged on their skills and qualifications, not solely on a past mistake. Seventeen states and more than 100 cities and counties have already adopted fair-chance hiring policies for people with records. So too have big companies such as Walmart, Home Depot, Target, and even Koch Industries. If they can do it, why can’t our federal government? Visit NELP’s Fair Chance campaign page for more info. After investigating 150 nail salons over 13 months, New York Times reporter Sarah Maslin Nir found that “manicurists are routinely underpaid and exploited, and endure ethnic discrimination and other abuse.” The findings are presented in a long-form multimedia story and offered in English, Spanish, Korean and Chinese. Nir followed manicurists who, after leaving their cramped living arrangements, hop into vans that shuttle them to nail salons in the city and even into different states. When they first begin work, many are forced to pay a training fee of around $100-$200, sometimes more. Many remain unpaid during an “apprenticeship period” until they can prove they are skilled enough to deserve payment, but this payment is usually below minimum wage. Twenty-one-year-old Jing Ren’s story illustrates this process. She paid $100 in a training fee, then worked three months without pay before earning a wage of less than $3 an hour. Because nail salon workers are considered “tipped workers” under state and federal labor laws, they can be paid below the state’s $8.25 minimum wage; employers are required to make up the remainder of the worker’s pay if their hourly rate comes out to below minimum wage. The investigation found that bosses rarely provide that legally mandated supplemental pay. Overtime pay is similarly rare for manicurists, who may work up to 12 hours a day, seven days a week. Nir also found that manicurists’ pay is often taken away for minor transgressions. When 47-year-old Qing Lin spilled a drop of nail polish remover on a client’s Prada sandals, she was forced to pay for damages and fired from the salon she worked at for 10 years. “I am worth less than a shoe,” she stated. Pay also can correlate to ethnicity. Nir found that Koreans are paid the most, followed by Chinese and Latino workers. Non-Korean workers Nir spoke with are sometimes prohibited from speaking and forced to eat in a separate location. Other documented abuses include workers being monitored on video, physical and verbal abuse and poor safety standards that lead to cancer and miscarriages caused by exposure to chemicals and dust. Nail salon owners are rarely investigated or punished for their labor violations. New York’s Department of Labor investigates a few dozen—around 1%—of the over 3,600 salons in the state per year. When investigated, the department finds wage violations 80 percent of the time. The Times said all but three of the more than 100 workers they interviewed have had wages withheld in illegal ways. Because many manicurists are undocumented and are often unaware of labor laws and speak limited English, many do not report on their bosses’ illegal activities. Nir is hosting a Facebook chat on Monday, May 11 at 1 PM EST. Participants are asked to submit questions ahead of time. If you want an ethical manicure, the Times has tips on that. This blog was originally posted on In These Times on May 7, 2015. Reposted with permission. About the Author: The author’s name is Ariel Zionts. Arielle Zionts is a Spring 2015 In These Times editorial intern and freelance reporter. 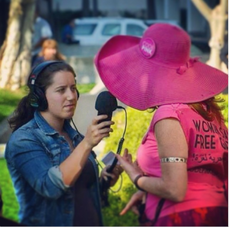 In August she will join the Interfaith Voices radio show as a producer. She studied anthropology at Pitzer College and radio at the Salt Institute for Documentary Studies. Arielle loves to ride her bike and listen to public radio. She tweets at @ajzionts and her website is ariellezionts.com. Sam Bagenstos has brought to my attention his new article in the Michigan Law Review entitled: Employment Law and Social Equality. What is the normative justification for individual employment law? For a number of legal scholars, the answer is economic efficiency. Other scholars argue, to the contrary, that employment law protects against (vaguely defined) imbalances of bargaining power and exploitation. Against both of these positions, this Article argues that individual employment law is best understood as advancing a particular conception of equality. That conception, which many legal and political theorists have called social equality, focuses on eliminating hierarchies of social status. This Article argues that individual employment law, like employment discrimination law, is justified as preventing employers from contributing to or entrenching social status hierarchies—and that it is justifiable even if it imposes meaningful costs on employers. This Article argues that the social equality theory can help us critique, defend, elaborate, and extend the rules of individual employment law. It illustrates this point by showing how concerns about social equality, at an inchoate level, underlie some classic arguments against employment at will. It also shows how engaging with the question of social equality can enrich analysis of a number of currently salient doctrinal issues in employment law, including questions regarding how the law should protect workers’ privacy and political speech, the proper scope of maximum-hours laws and prohibitions on retaliation, and the framework that should govern employment arbitration. Very interesting new meta-theory on what animnates employment law. As an ERISA guy, I think Sam’s social equality theory equally applies to how the law should protect employee benefit plan participants and beneficiaries from opportunitistic behavior by plan administrators, plan sponsors, and their third party advisors and consultants. An important new contribution to employment law theory that should be on the top of any workplace prof’s reading list. This article was originally printed on Workplace Prof Blog on November 6, 2013. Reprinted with permission. 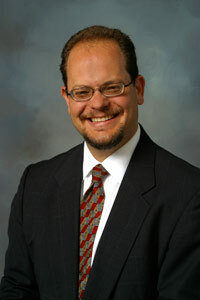 About the Author: Paul Secunda is a professor of law at Marquette University Law School. Professor Secunda is the author of nearly three dozen books, treatises, articles, and shorter writings. He co-authored the treatise Understanding Employment Law and the case book Global Issues in Employee Benefits Law. Professor Secunda is a frequent commentator on labor and employment law issues in the national media. He co-edits with Rick Bales and Jeffrey Hirsch the Workplace Prof Blog, recently named one of the top law professor blogs in the country. Did I Hear the Words "Full Employment"? Among the many reasons the country would be better off if Bernie Sanders was president is that the man just refuses to deal in silliness. He wants the country to have a serious debate — and whether the next head of the Federal Reserve Board is a man or a woman, or the current president is more “comfortable” with one person or another running the Fed, is entirely irrelevant to Sanders. And, so, Sanders goes really wild — he invokes the two words that most people will not speak in this debate even though those two words are part of the Federal Reserve Board’s mission: FULL EMPLOYMENT. There is a lot to learn from this short letter. First, how many people know, as Sanders points out, that it is the Fed’s responsibility to bring about full employment? Wait a second: who even talks about full employment anymore? Not the Congress (except for a handful of people…or maybe it’s only Sanders). Not the president. Not either of the two parties. It’s seen as, well, quaint. We’ve now adjusted our attitude, thanks to the constant chatter of the transcribers of press releases (formerly known as “journalists”), so that we now think of under 7 percent unemployment as somehow “okay” and 6 percent unemployment as if everything is going great guns…with the millions of people out of work that those numbers represent. But, reaching full employment is the Fed’s job. And Sanders, wacky guy that he is, actually wants someone in the position who understands that. Uh, good luck with that, Bernie. I got to have one quibble with Sanders, otherwise it will seem like hero worship (close). And that’s that he doesn’t call out in his letter the puppet master who laid the groundwork for this mess in the 1990s: Bill Clinton. Because it was the Big Dog himself who led the charge of the Big Three against Glass Steagall — which was the law that did not allow investment banking and commercial banking to mix. But, if the world was right, and we had a serious political debate, Sanders’ letter would be driving policy the decision about who will be looking out for the interests of the people. This article originally posted on Working Life on July 30, 2013. Reprinted with permission. About the Author: Jonathan Tasini is a strategist, organizer, activist, commentator and writer, primarily focusing his energies on the topics of work, labor and the economy. On June 11, 2009, he announced that he would challenge New York U.S. Senator Kirsten Gillibrand in the Democratic primary for the 2010 U.S. Senate special election in New York. However, Tasini later decided to run instead for a seat in the House of Representatives in 2010. In the wake of ATT Mobility v. Concepcion and Stolt-Nielsen v. AnimalFeeds,* many employers have sought to enact new arbitration agreements or to enforce arbitration provisions in older agreements to eliminate their employees’ ability to come together when seeking to vindicate their rights to enforce statutory protections for workers. Employers should be careful what they wish for, in seeking to compel arbitration. They may indeed wind up in arbitration – but unable to strike class allegations, and required to pay the full and exorbitant costs of class-wide arbitration. In a case on which Bryan Schwartz Law serves as local counsel for Richard J. Burch of Bruckner Burch, in Houston, Texas, the employer is now feeling the danger of a Stolt-Nielsen-based strategy seeking to compel individual arbitration in a putative, wage-hour class action. In the Laughlin v. VMWare case, in which VMWare employees assert they were misclassified as exempt employees and denied overtime and other compensation to which they were entitled, the company moved to compel arbitration based on an agreement which did not specifically provide for class-wide arbitration. In the last 18 months, numerous other arbitrators from JAMS, AAA, and other nationwide arbitration services have likewise denied motions to strike class allegations, employing similar reasoning. Be careful what you wish for, employers. You may find that sometimes, allowing employees their day in court is better than the alternative. DISCLAIMER: Nothing in this article is intended to form an attorney-client relationship with the reader. You must have a signed representation agreement with the firm to be a client. This post was originally posted on December 26, 2012 on Bryan Schwartz Law. Reprinted with Permission. 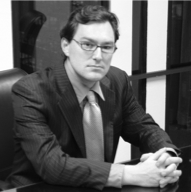 About the Author: Bryan Schwartz is an Oakland, CA-based attorney specializing in civil rights and employment law. In November McDonald’s saw a 2.5 percent increase in November sales. This is after the fast food giant saw a decrease in sales of 2.2 percent in October. So why was there increase in sales? Was the pork-like substitute McRib back? Was there a shortage of Ore-Ida french fries in your local grocer’s freezer causing a run on McDonald’s across the country? On Dec. 12 Mr. Johannesen doubled down and sent out another memo to franchise owners stating that average sales for company-owned restaurants, which compose about 10 percent of its system, were “more than $6,000” this Thanksgiving. That adds up to be about $36 million in extra sales. It is bad enough that McDonald’s pays crap wages but then they turn around and refuse to pay overtime for employees who volunteer to give up their holidays so that McDonald’s can make several million dollars. I am also willing to bet that most staff does not readily volunteer to work on Christmas day. This just gives me one more reason to not eat at the Golden Arches. This post was originally posted on December 18, 2012 at The Daily Kos. Reprinted with Permission.